Kapamilya! With ABS-CBNmobile, it’s always happy but no ending as a new promo is now available to all ABS-CBNmobile subscribers. 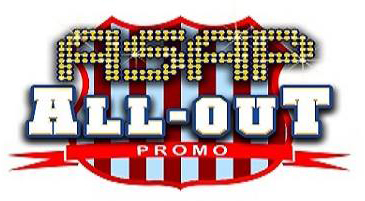 Join the ASAP ALL OUT Promo 2014 and get a chance to win exciting prizes. To qualify, participant should register to the ASAP ALL OUT PROMO. Once registered, contestant must be able to identified an ASAP ALL OUT Sighting and downloaded an ASAP Trivia to earn valid raffle entry. There will be 12 weekly winners of Huawei Phone Kits c/o ABS-CBNmobile plus 200 Pesos Load and 1 winner of P100,000 cash and 1 winner of ASAP ALL OUT Experience in the grand draw. Buy an ABS-CBNmobile Prepaid SIM card. Download an ASAP Trivia to earn 1 valid entry and send the title of the show where the ASAP ALL OUT Sighting shows and send it to 2131. Subscriber can only earn a maximum of 12 entries per day and can qualify for the Weekly Draw and Grand Draw. Watch on ABS-CBN Channel 2 for the Announcement of winners. Per DTI-FTEB SPD Permit No. 1608 series of 2014. Visit www.abscbnmobile.com for full promo details. You can also check on ABS-CBNmobile Kapamilya Facebook Page and Unlipromo FB Page for the latest feeds and more exciting promo. Hi, Ask ko lang paano yung mechanics sa mga sponsors, like Rexona?… Thanks! and More Power! sana lagay nyo naman yung list of winners .mabilis kasi sa tv mahirap basahin.